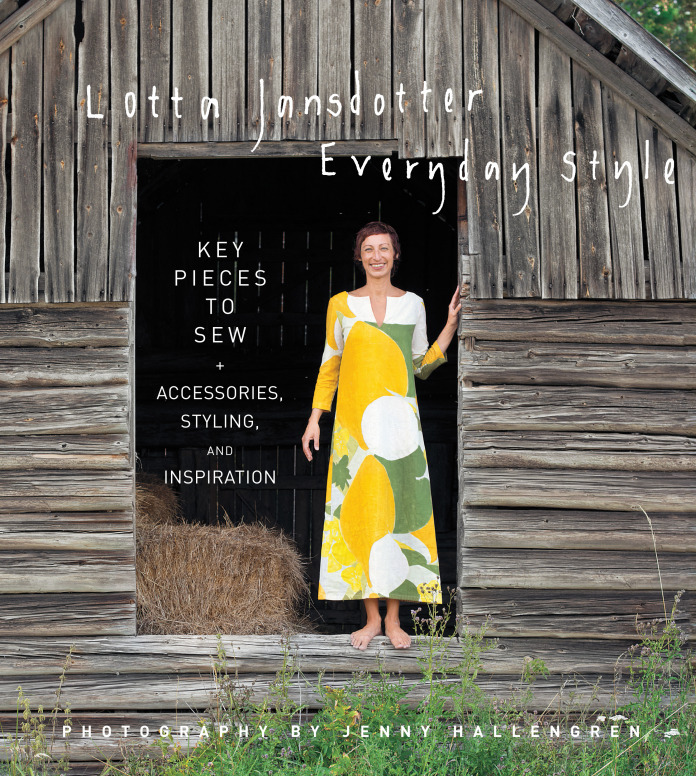 About a month ago, the folks at Abram's Books and and Windham Fabrics reached out to me about participating in the blog hop for Lotta Jansdotter's new book, Everyday Style. I had flipped through the book at Quilt Market and even added it to my Amazon wishlist, so I jumped at the chance to participate. Everyday Style is not your typical project-based book. The book consists of five "core" garment patterns (a skirt, jacket, pants, sleeveless top/dress, and a sleeved top/dress) that between two to five variations each as well as four simple bag patterns. Upon my initial flip-through, the structure was a little confusing, but everything clicks when you sit down and read it properly (something I'm not always good at). It reads more like a hybrid of Japanese sewing books like the Stylish Dress Book collection, a fashion magazine, and a series of journal entries. It's quite unique in that regard. The first portion of the book is divided into four chapters by season. Each seasonal chapter features gobs of gorgeous photos of the garment patterns in fabrics and outfits befitting the season along with brief tutorials for accessories and embellishments (fabric jewelry, pom poms, wool cuffs, scarves, etc). If you're the type of person who likes to see different versions of patterns to get your creative gears turning, you'll adore this book. If you're more of a straight-to-the-point, no-frills type, Everyday Style might be a lot to wade through. The second section of the book contains the actual instructions for sewing the garments and bags. Each pattern includes illustrated cutting diagrams, and all measurements are listed in both imperial and metric, so readers outside of the US will be happy campers. There are illustrations for the instructions, albeit small and somewhat sparse. For this reason, I'd say the patterns may not be for suitable for absolute beginners. I had no trouble understanding the instructions, but I've also had experience making garments. Instruction wise, the patterns are comparable to most of the Japanese sewing books I've read. 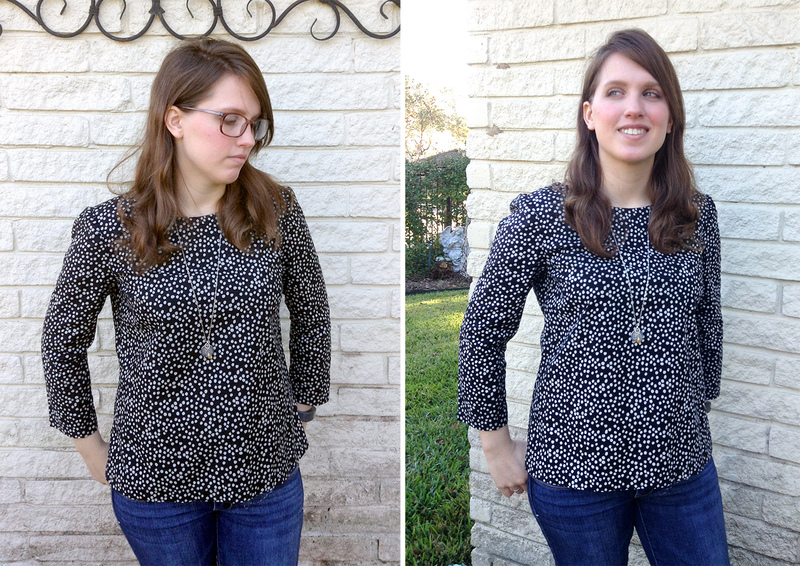 I made the Esme top using the spotted print from Lotta's Lucky collection. It was a super quick and simple project with the exception of attaching the set in sleeves. Like many patterns with set in sleeves, the instructions call for two lines of basting stitches to ease in the sleeve cap. This approach is a drastic over simplification of easing in a sleeve. It never works for me. The gathering approach always results in a puffy sleeve (which I hate) while the photographs clearly show a smooth sleeve. Instead of basting, I opted to pin the everloving crap out of of the sleeve cap, which results in less puff-age. If you're looking for some basic sewing patterns and tons of photographic inspiration, Everyday Style will make a lovely addition to your library. The sponsors of the blog tour have a prize pack for one of my lucky readers. The winner will receive a copy of Everyday Style, a fat quarter of Lotta’s fabric from Windham, Lotta temporary tattoos, and Lotta washi tape. To win, leave a comment with your email address by Saturday, December 12th at 9am CST. I'll pick one winner at random. 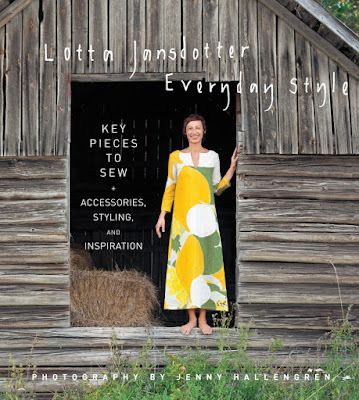 To learn more about Lotta and the contributors to Everyday Style, check out these links. I hope this comment works -- there is no line asking for an email address. I would like to enter the contest, and also do the Esme top! Oh! I am intrigued and would love to try it out! This book is on my Xmas list...Hoping to win! The top looks great. And your review very informative. Thanks for the reminder about setting sleeves. What fun, the mix of wearable and other functional projects is great! The shirt looks wonderful and so does the book! I would love the chance to win :) Thanks so much for the opportunity!! thanks for the helpful review! versatile pattern options are always plus. thx for the giveaway opportunity! Beautiful top! You did an amazing job. I have never really made clothes before. I always make quilts. I have wanted to try out making garments though. powersjlc (at) gmail (dot) com. Thank you so much for the chance. Thank you for the review, and you made a lovely top! Love the top and the fabric you chose. Wow- I love the top you made. Elegant! Love the fabric you chose for your top. I would love to sew anything from this book. Such beautiful, classic pieces! I'd love to see this book in person. Love your top. I have never been able to set in sleeves correctly on the first try. Nice giveaway. I would love to win because I would definitelly use some patterns. Excited to see the rest of the projects! I would love to have this book in my sewing collection! Your top is adorable! I like your top much, and wish it were hanging in my closet. I think that you might be having problems with sewing two rows of gathering stitches on the sleeve and then using those to ease any additional fabric (necessary to fit over your shoulder) in the sleeve onto the body. I sew my two rows one on either side of the seam stitching line and I don't use hugely long stitches. I still pin, but having pulled up the fabric slightly with the "easing" stitches helps to work out the "puffiness." When I sew the final seam, I sew it between the two lines of stitches so that I don't catch tucks and folds from the fabric outside the stitches that hasn't been eased. I hope this makes sense. Your top came out so pretty! I love Lotta's simple classic style and this book looks like so much fun.